Ironman UK is a bit earlier this year – 20th July (4th August last year) – and the ETU Long Distance Champs that I am competing in is on 13th September, so about 6 weeks later in the year. 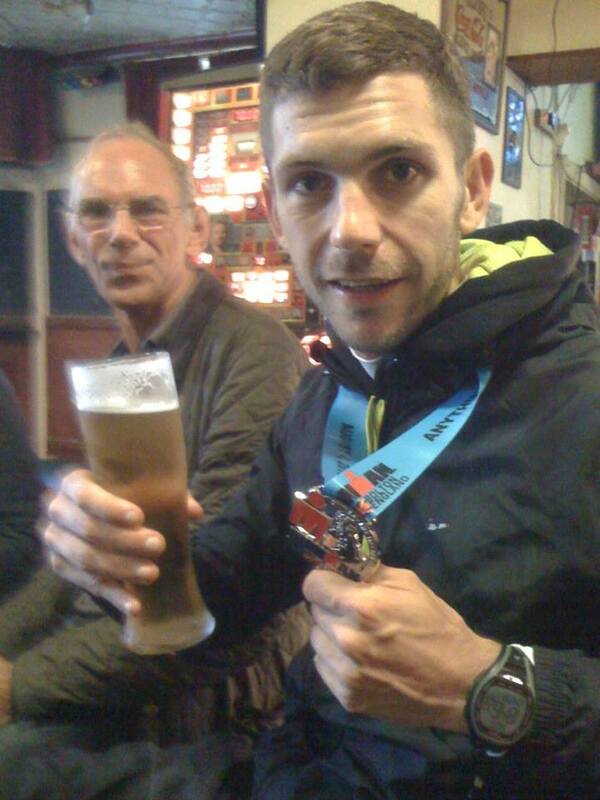 For IMUK I gave up drinking 12 weeks out from the event and I have done this again. Coming up to 4 weeks without a drink. Not that I’m struggling to get clean in the stereotypical sense, but I find it a very mental approach and a test of my discipline more than anything too beneficial health and fitness wise. Obviously there are a few extra calories take on board when we have a cheeky bevvy, but as long as you can continue to train and not let it get in the way it’s not a problem. Personally, I see it as a switch in mindset to recognise that there is 12 weeks to go and its time to go to work. This is an official start date of my race build up I suppose. I didn’t tell anyone about my first Ironman until I was 6 weeks away from it, when there was no turning back. I just felt I didn’t want anyone asking me about it all the time, putting doubt in my mind that it was as big as and epic as it sounded and whether I could do it. I didn’t want to have to tell people I was no longer going to do it should I have got injured or not made the grade. I could’ve pulled out and nobody would have known. My silence was my insurance policy. This time around however, everyone seems to know, asking how training is going. Its nice, they care and they are interested but I enjoyed the anonymity of IMUK and my down time not talking about training or making me nervous about the pending race date. Cutting out the booze last year was like what pregnant women have to do when they lie about why they aren’t drinking to avoid the questions! I was a pregnant lady – sober, moody and tired. 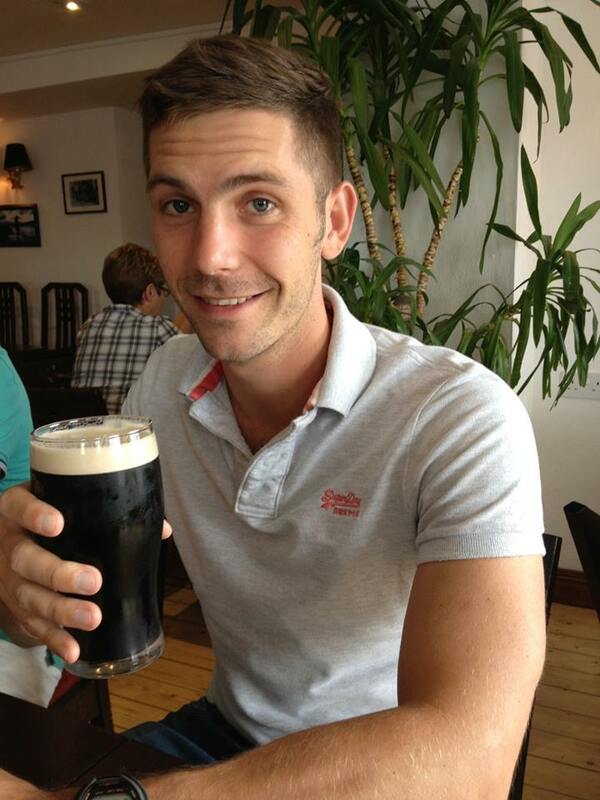 I love a drink, Guinness mainly and a few rum and cokes or I’ll happily nail a bottle of red with the girlfriend. I’ll smash a jagerbomb, line up another and see off a 4 pack of lager at a bbq. It’s all good. 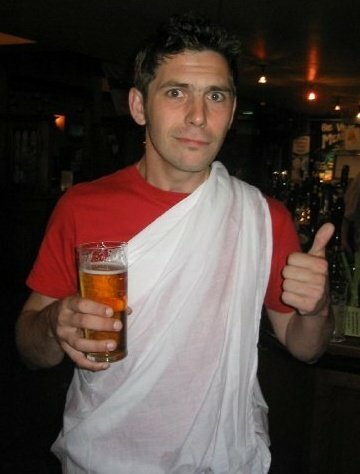 I’ll dress up, do a pub crawl, dance like nobody is watching and wake up vowing never to do it again. It’s a good laugh and a social part of life that I enjoy. The World Cup, the summer evenings and walking past a pub beer garden has heightened my observation of booze and a Corona with a lime and condensation of the bottle looks incredible. A velvet guest ale, with a perfect head has never been so appreciated in its grandeur, clinging to the glass all the way down. I had my face in the girlfriends wine glass the other night, just sniffing a lung full of Rioja that was simply sublime. Soda and lime for me. Or a coffee. It’s fine. I’m going to be all over the gaff in Amsterdam once I cross that finish line. 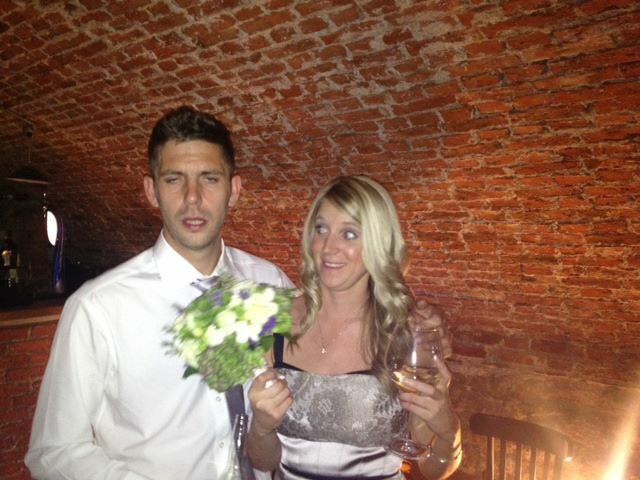 After IMUK I had the most underwhelming first drink ever! 12 weeks off the booze, soaking wet and exhausted from 11 hours of suffering and I could finally have that drink. I’d ran past people on the street cheering on the athletes with a pint in their hand. I was ready, I’d earned this. There was one old man pub near the car park and they only had Fosters. Gutted. Still drank it! Basically it’s a chance for me to focus the mind solely on the task in hand. It worked for IMUK too so I’m sticking to what is tried and tested for me. I enjoy drawing a line in the sand and saying to myself that we are entering the business end of training now and the countdown to Go Time has begun. 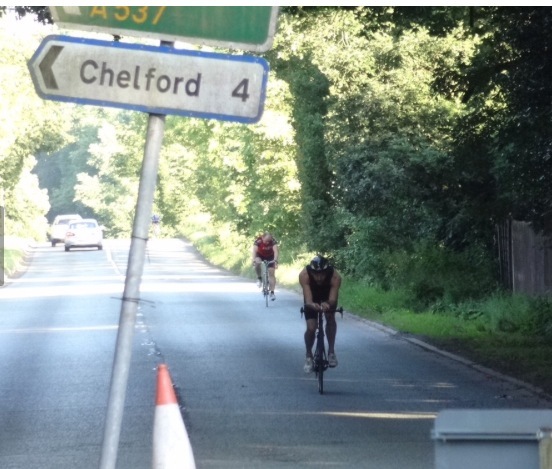 I have done the Chelford 10 mile TT course twice now, having decided to get a bit more use out of my TT bike, and also as nice shot of intensity work on the bike. I’m doing bi-weekly and not as a fixed term event in the calendar just if I can make it and feel good I’ll turn up. It’s only £3 and seems like a good bunch over at Stockport Clarion who organise it. Both attempts I have recorded 24:04. The second attempt yielding a higher position finish as the conditions were a touch windier but I held the same time which I am happy with. I can defiantly feel it coming back on the 5 mile out and back and really enjoy the pain of it. I think this is a good time too, not too shabby as a TT débutante. Then on Thursday night, myself and girlfriend Lynsey went down to Woolston Park in Warrington for the Warrington Road Runners annual 10k race. It’s been going for 35 years and is a nice little course around the park. Not too hilly, but a few twists and turns in there. I set a PB here two years ago so was keen to beat that course PB, despite not specifically training for a 10k at the minute. I did and managed a 41:51 which again I can be happy with as a consistent 10k time now. Lynsey went around in 52:12 which she must be happy with having not done a 10k for nearly 4 years and working off her base hockey training fitness. Proud of the gal! 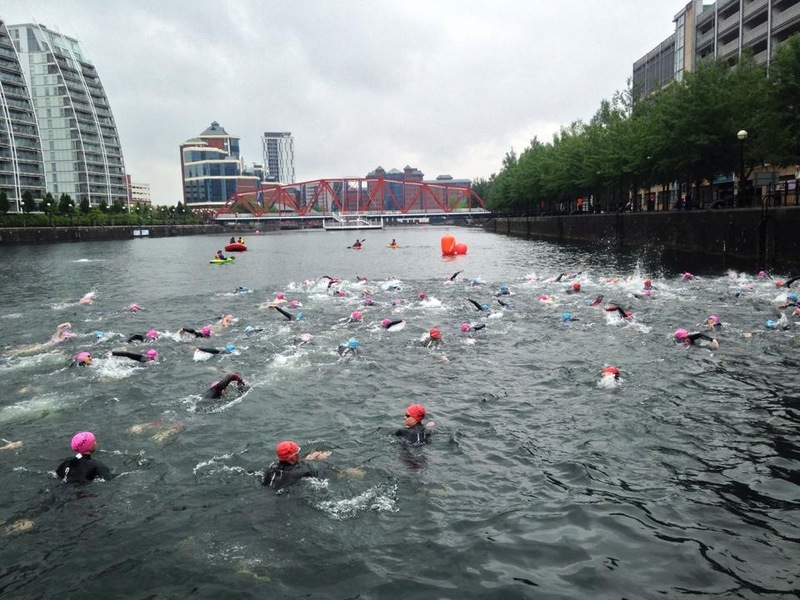 Then on Saturday morning I ended the week of racing with what scheduled as 3.8k open water swim at USwim Dock 9 in Media City. I have been swimming 3k regularly in training and feeling good so I wanted to lay down a little marker for the Iron distance swim to see where I was at. The course was highly inaccurate, with people in the changing room post race reporting their GPS to have measured 4.6k. They decided to throw in an extra bit of course in which to shout your number each lap passed by, so 5 times around there added the extra 800m. I’m glad it was over measured when I saw my time – 1hr 19min. I hope be going around 1:05 to 1:110 at Challenge Almere – for 3.8k! I felt I swam well actually, having started on the backfoot I had to bridge a gap to the lead group, which I picked away a gradually across the distance, never going into the red zone to make it happen. It was good to be surrounded by swimmers and get back a sense of a mass start. I was recommended by my coach Paul Savage to research the previous years of Challenge Almere and how they start – deep water or run in? It is a deep water start. Check out this video from 2012 Almere Triathlon, it does show some bits of the whole course for a little insight – Almere Lokaal! I stupidly got involved in a sprint finish! I say stupidly because I got sidetracked with my competitor that we went off course slightly on the finish shoot, deviating from the course and by the time we had picked our way back to the pontoon we had given up two positions. Something I will take great care never to repeat and I was frustrated with myself for this. Although I did out-sprint the guy so a morale victory for me! With these manageable distances it has been a good week to build in some intensity and sharpen up the speed on all three swim, bike and run.